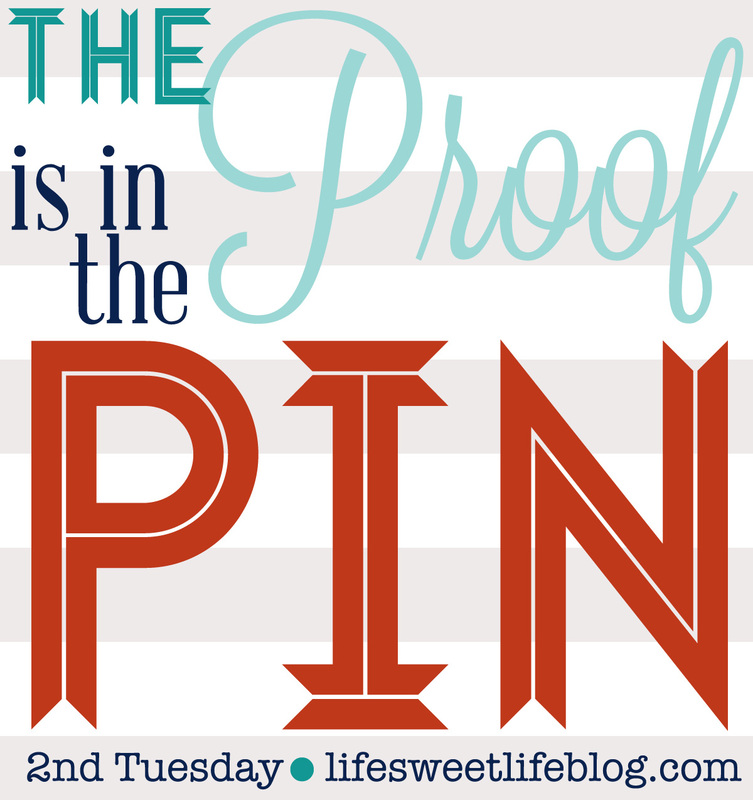 Welcome to another edition of the Proof is in the Pin! 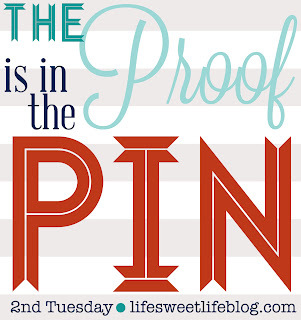 The monthly link-up in which I share some pins I scurried around the night before to do completed the previous month in a quest to keep me accountable to stop being a pin-hoarder. Anybody is welcome to join. All you have to do is actually do something you've pinned, then write a post letting us know about it. Good outcome, bad outcome, doesn't matter. In my case, I'm working my way through my "Recipes" board one burnt cookie at a time. Moving right along! Pin #1 - Holiday Prints in a Frame: I pinned this after I had already gotten Christmas gifts for Manny's teachers, and made a mental note to gift this to them for Valentine's Day. And in what I'd like to refer to as a post-Christmas miracle, I actually remembered I had a gift for them before I went and purchased something else! 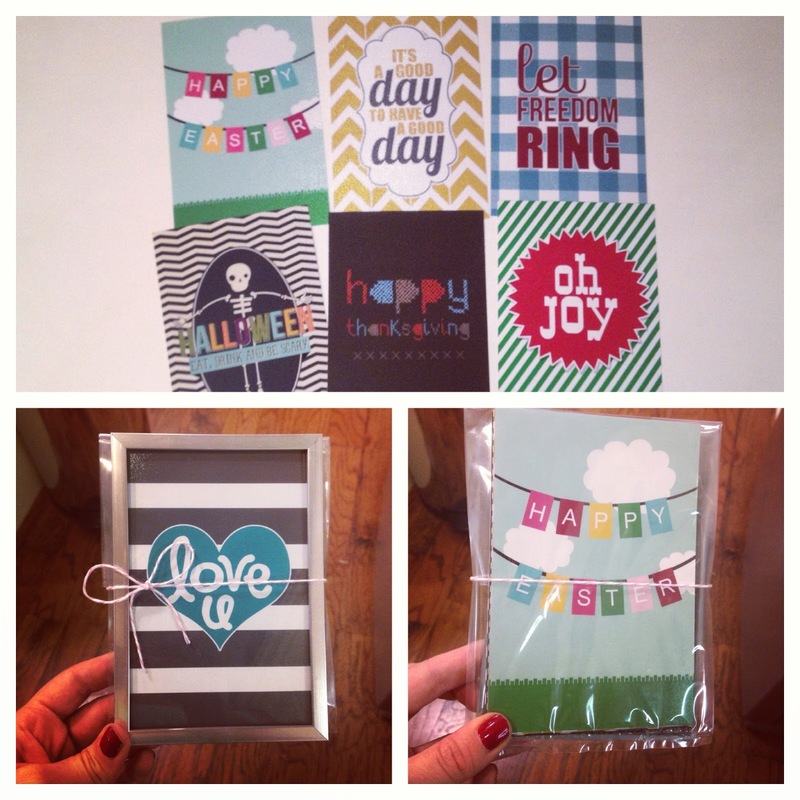 The girls at eighteen25 made 7 seasonal printables that you can change out based on the holiday, and one of them is generic for those in between times. Just buy a 4x6 frame (I got the teacher's at Dollar Tree), and print the photos (I did mine at SAM'S for 0.13/each.) Then I put them in a Ziploc bag and tied them to the back side of the frame. Simple, but also simply adorable. I loved it so much I decided to add one to my mantle (my frame via Hobby Lobby). This will be fun to have this set to change out for easy seasonal decor. You can download all of the super cute printables from eighteen25 here. Pin #2 - Leopard & Stripes: So a couple of months ago I discovered this blog called Pinterest Told Me To written by a cute girl named Sheaffer. Let me just say there isn't a time I visit without laughing. She had me at hello the first time I visited her blog with a tagline something to the effect of, "Because when Pinterest says jump, I do in colored skinnies and a statement necklace." I literally laughed out loud when I read that because that's SO me. And the 27 colors of bubble necklaces I own are a true testament to that. Anyway. She has started hosting a monthly link-up with two other bloggers: Mel from The Larson Lingo, whom I've been reading for quite some time and is so cute and creative, and Shay from The Mix & Match Family, who is adorable, an amazing cook, and the sister of the current Bachelor - how fun is that?! So their link-up is a challenge to wear a Pinterest inspired outfit from clothes already in your closet. This is something I need to be better about so hope to start trying more of. This month I'm a little late to the party, plus it's my first time so I'm going to keep it simple. I saw this pin a long time ago and loved it. Mixing prints is fairly new to me but I'm totally embracing it. I loved the leopard & stripes combo so much I've even tried it out on Maeva. Let's be honest though. What I really need Pinterest to tell me is how to get a picture with both of my kids without one of us being a blur. And by one of us, I mean Manny or Maeva. I do a pretty good job of staying still unless I'm reacting to the force that is these 2 children. Anyway, hopefully by their link-up next month I'll have a few outfits to share. High hopes, but one never knows. Pin #3 - Bib Organization: I saw this pin with a simple organizational tip that made me think - why didn't I think of that?! 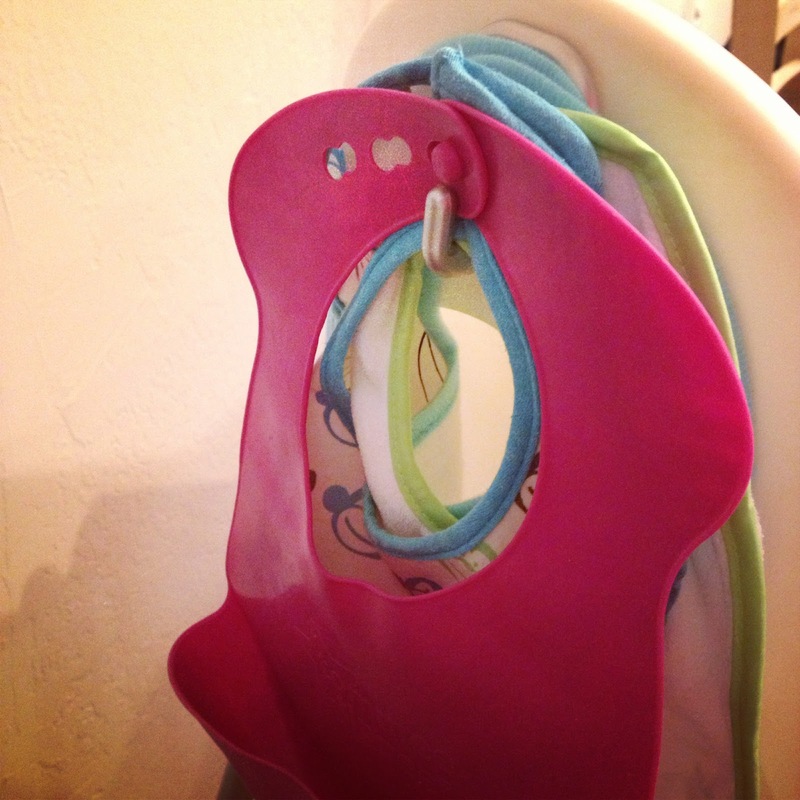 Simply stick a command hook on the back of your highchair and hang bibs there. Keeps them all in a nice convenient location but also hidden. Can't ever get enough good organizational tips. LOVE the bib idea!! Genius!!! And, your outfit is so cute! 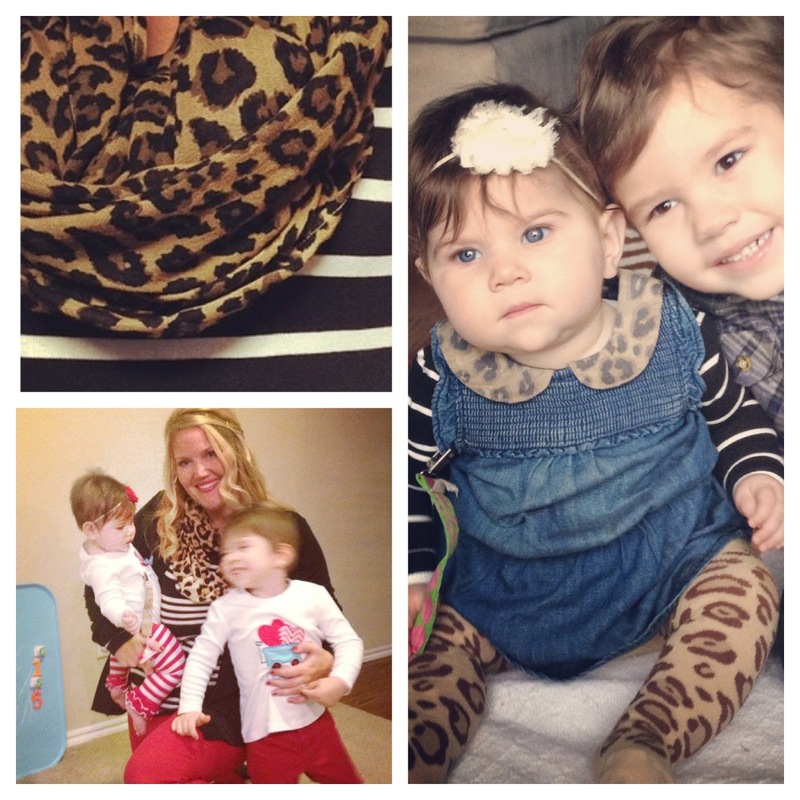 Love your leopard with stripes! The Bachelor's Sister!!!! That's enough to make me follow her, right there! Hi Sarah!! 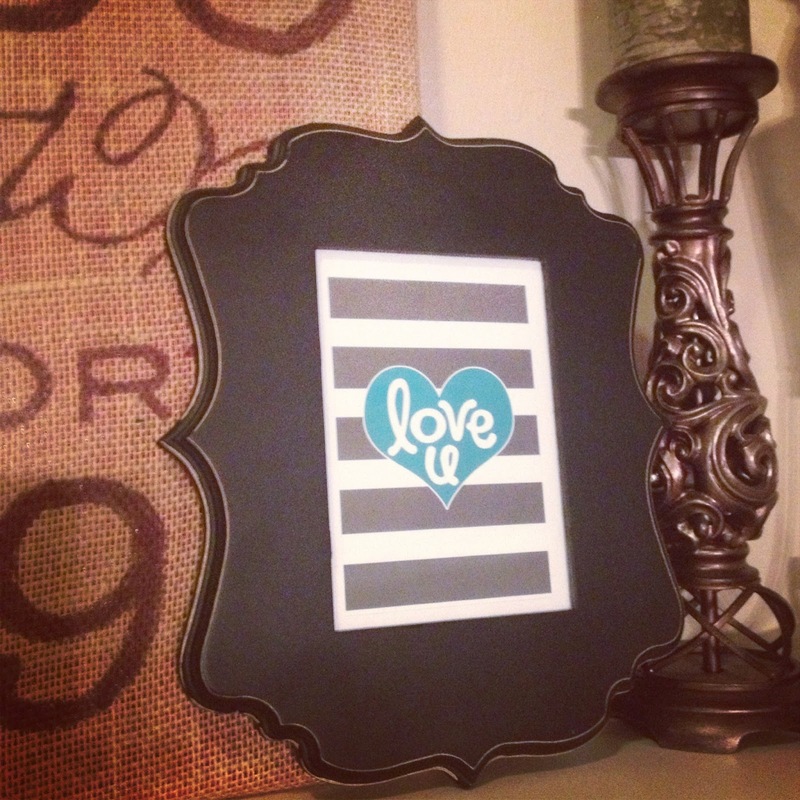 I LOVE the holiday prints in a frame idea! Very clever and seems easy to make. Cute gift idea too! Hope all is well, Happy (early) Valentine's Day!